This is the story of the role of the part my mother played in a dog rescue story pertaining to a cute little Pomeranian named Skippy. My mother is an animal lover from waaaaaaaay back! When she was a little child, she had burials for little critters like squirrels and birds that had met their demise. Her parents supported this effort and you might surmise from this, that they also loved animals. She and my Dad actually adopted a dog before they got married! This was in the day and age when people married first, and then lived together. They did not take possession of Happy until they married but had chosen her out of a litter of pups that their friends had. So they had an instant family of three when the nuptials were consummated consisting of two two-legged family members and one four-legged one. 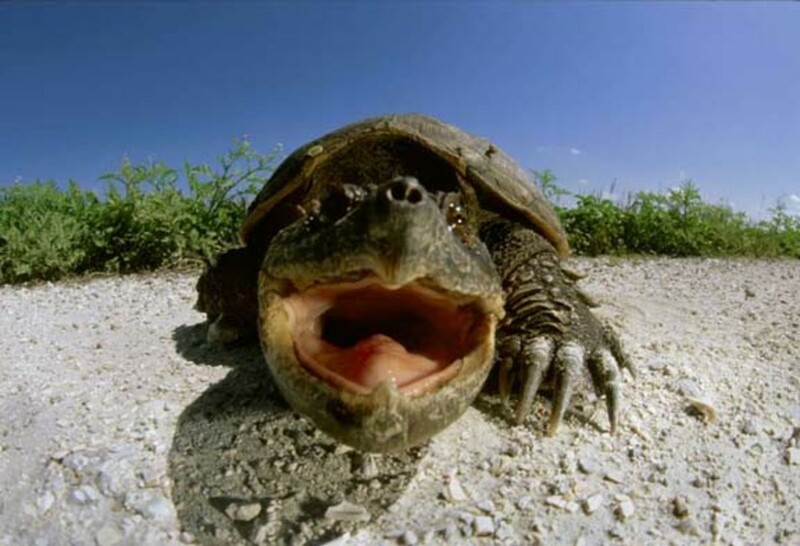 This was the beginning of a series of animals that graced their homes throughout their lifetimes. My parents generally had two dogs at a time and several cats. These animal companions came in all shapes and sizes and colors. Suffice it to say, they were each loved and were welcomed additions to their homes. 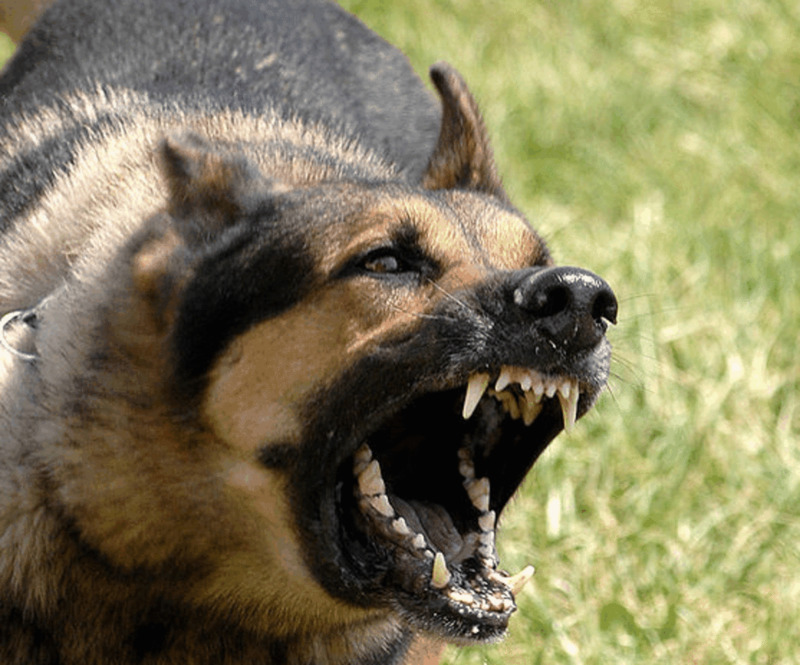 They added what all animals do by way of love, laughter, fun and fur as well as a feeling of extra protection especially in the cases of their German Shephards. My mother became widowed at age 55. She still had her furry friends to warm her bed and keep her company. One year both of her dogs died within a short period of time. That was heartbreaking for her. All animal lovers who have been there can understand the pain of losing not just one beloved dog but both within a few months of one another. 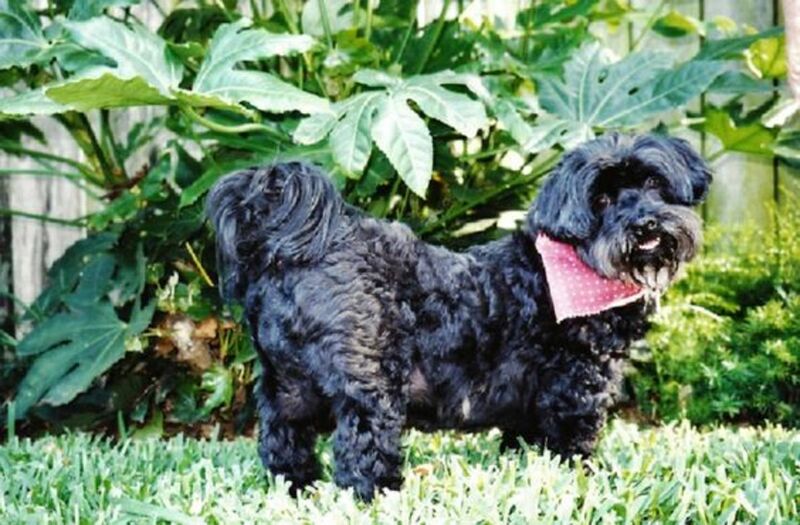 Elliott was a little mixed breed, part Lhasa Apso and part Poodle, was the guess on the part of the animal shelter folks where she had gotten him. He was older and getting a little confused. Yes, we were to find out, dogs can also develop dementia much like humans. Nonetheless it was a shock when he died suddenly from having a stroke. 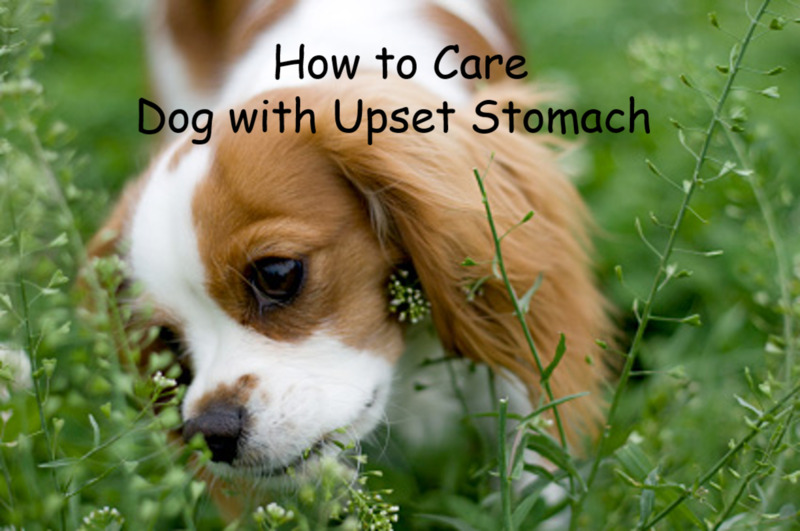 That was the veterinarians diagnosis. My mother called her groomer to cancel Elliott's upcoming date and here is where the story evolves. Her groomer is known far and wide for being a great animal lover. She has offered shelter to many a waif and continually finds good homes for them. She just cannot turn a blind eye to any animal that is hurt or needs food or shelter. So when she was presented with a pup that had been abused, she took it in as a matter of course. 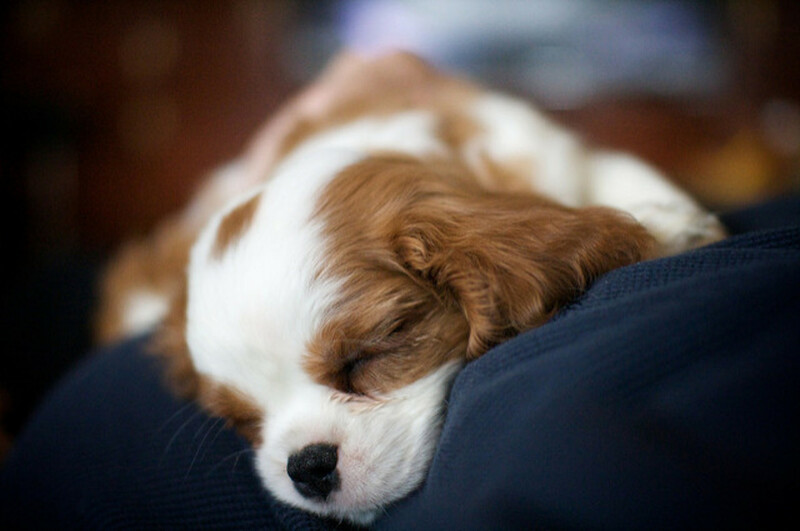 This little pup was actually dog napped by the mother or mother-in-law of a husband and wife.The wife wanted the dog and the husband did not. The story told by the rescuer of the little dog was this: the man actually kept kicking the little pup so hard that sometimes he was vaulted across an entire room! Just imagine how that man must act towards the humans in his life! She just couldn't stand it and one day told them that somehow the dog had gotten out and it just could not be found. 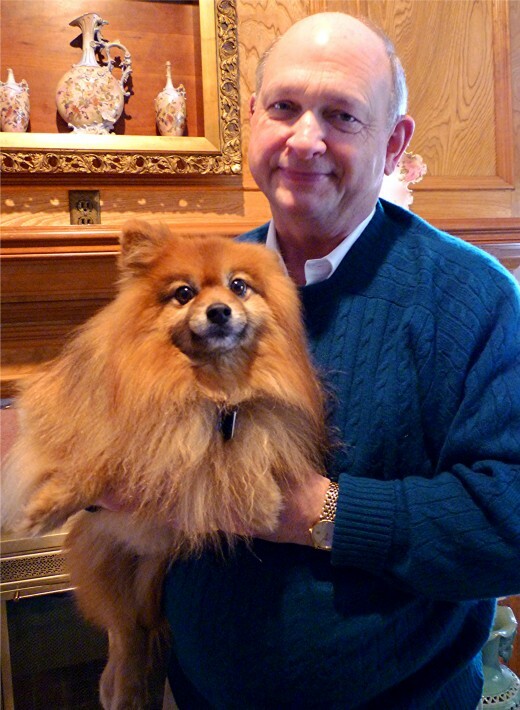 The groomer named the little Pomeranian "Skippy" and had him for several months trying to find just the right home for him. She would take him to her shop during the day and took him home with her at night. Naturally, Skippy was afraid of men! When my mother talked to the groomer regarding canceling her appointment, the groomer (who will remain unnamed due to her complicity in this rescue) asked my mother if she would be willing to take a look at this little abused pup who desperately needed a good home. My mother's heart was open and she agreed to take him for a weekend trial. You can probably guess the rest! Little Skippy has become an important part of her life and now ours as well since my husband and I along with my mother now share a home together with her dog and our two cats. Postscript: My dear mother passed on to her reward in heaven and now Skippy just has my husband and myself and our two cats to keep him company. I know he still misses his "mother" as do we. Whenever we take Skippy to the dog park the first place he checks out is where she used to sit in the shade while there. He cannot understand why she walked out of the house one day (on her way to the hospital) and never returned. Other than that he has fairly well adjusted to the changes in his life. 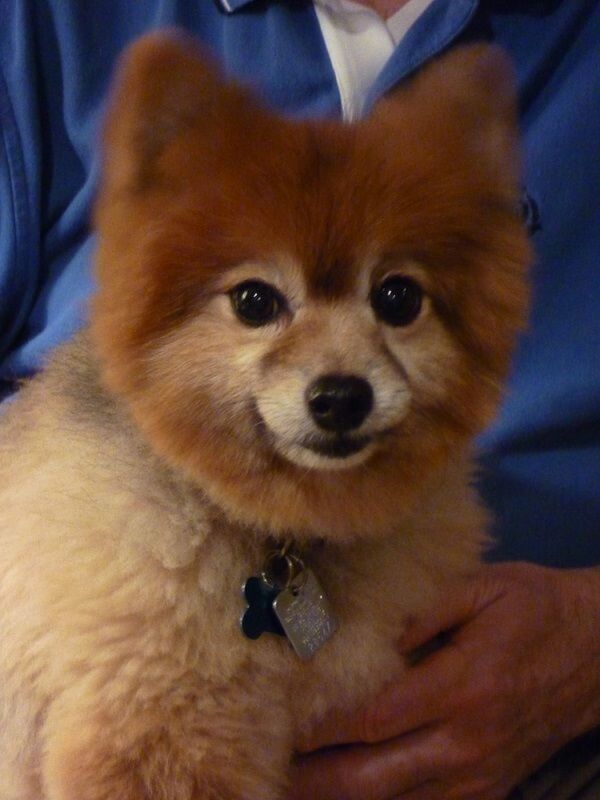 Skippy makes us smile on a daily basis with his cute mannerisms and we are very happy that he is a part of our lives. It took a while for Skippy to get used to my husband who is also a great animal lover. That is understandable since his first experiences as a little pup was to be abused and used as a football by another man! He is still shy around other people. 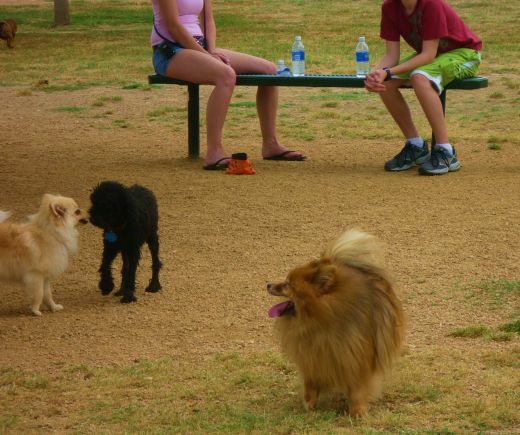 We have tried taking him to dog parks to become better socialized with other dogs as well as people. We occasionally take him to PetsMart that allows dogs as well as people to shop there. Not much has helped get him past the experience of being abused and his trust of people remains low. If it were up to Skippy we would never invite other two legged people into our home. Of course we do. Instead of forcing the issue we just let him stay in a part of the house away from others where he is more comfortable. What brought this entire post to my mind was a piece on the Today Show this morning that was talking about the need for shelters to take in pets as well as people. Many women and children that need to leave abusive situations do not do so because a beloved pet will be left behind and suffer the consequences. According to what I learned this morning, of all the shelters in existence, only about 8 allow animals to be a part of the family unit. This needs attention and change. Often brutality starts with abusing animals prior to it escalating to people. This is a red light warning! I wonder if the woman whose husband abused little Skippy remained in that marriage? We will never know. Let's hope and work towards more people shelters being opened to animals. The result will be more lives protected. Do you think that people shelters should be opened to housing their pets as well? Yes, I want my pets protected also! A law was passed down in our part of the country that takes this into consideration for future disasters like hurricanes. Animals will now be welcomed into shelters like the Astrodome and other areas that house great numbers of people during emergencies. All the animal lovers out there, let's contact our people in Congress and have them consider opening people shelters during emergencies to the animals that bring such joy into people's lives. And if you are financially supporting a shelter, talk to them about opening it to animals for temporary housing during periods of crisis where the animals can be reclaimed after the emergency. 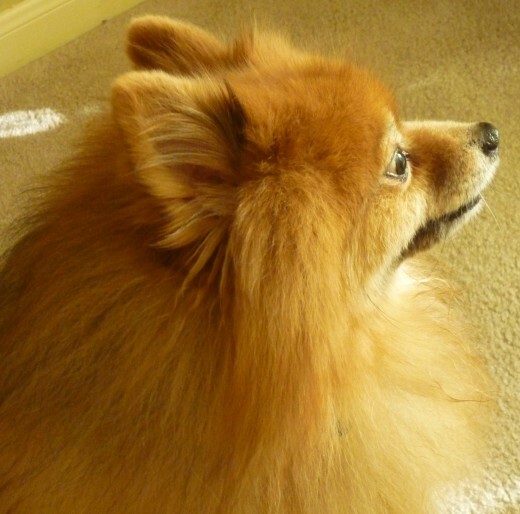 This particular story of a dog rescue and the role of my mother has a happy ending for the Pomeranian Skippy. 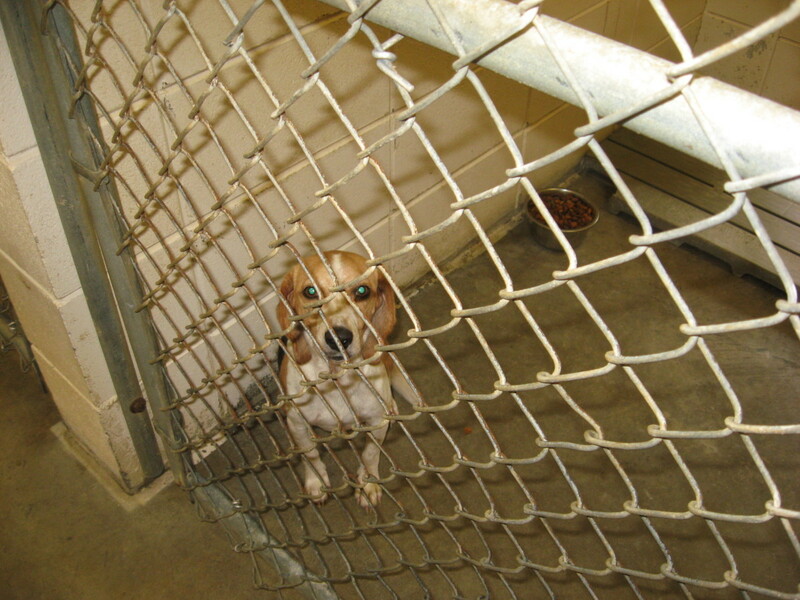 Abused animals can and should be reported to animal welfare agencies. Let's all do our part to keep our eyes and ears open and do what we can to protect our furry fellow creatures. Which are the Cutest Puppies? Skippy is not only cute but a loving member of our household. There is not a day that goes by that he does not make us smile. Thanks for your comment. No problem! Actually my mother would have loved meeting you. 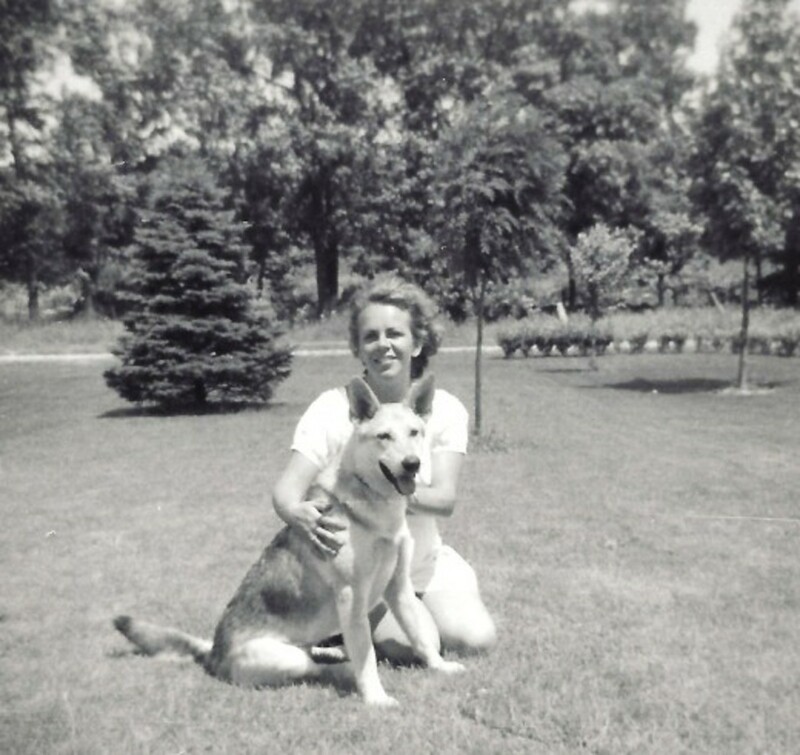 Her dream was always to rescue animals and had she lived in the country in later years, no telling how many she would have rescued. As it was, she did a good job of it through the years. She was a true animal lover! Skippy kept looking for my mother for quite a long time. It was heartbreaking. Of course we were also grieving her loss. It has now been about 2 1/2 years and he seems to be well past that stage. Dogs have long memories! Of that there is no doubt. Your cat must have had a bad experience with some woman in the past. Nice that it trusts your husband. Thanks for your comment and vote up. Nice that you rescued a dog and can now even take it into rest homes where others can enjoy seeing it and perhaps petting it. We have a friend that takes her standard poodle into assisted living places and the residents love interacting with it. So sad that there are some people in the world that take out their frustrations or are so evil that they purposedly harm innocent animals. Appreciate your comment and the share. Thanks! Your Mother did not give ME a good home (as you know)! Just call it a "senior moment" at the keyboard! Sorry about the loss of your mother. I often wonder what dogs think when someone suddenly leaves their life. Skippy is so cute. We have a cat that acts that way towards women. Every time I get near him he takes off but loves my husband. Great hub...Voted up. Oh, Peggy! I could just reach out and touch Skippy through my computer screen. I hope you still have him and he is well. 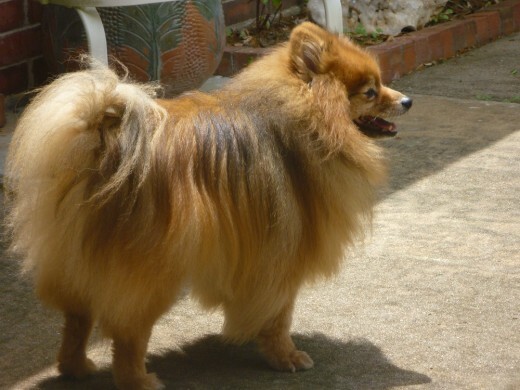 He is a beautiful dog, and I am so happy your Mother gave me a good home, as well as you and your hubby. I was a foster mother to a little Maltese (wrote a Hub about him), he was quite old, and no one wanted to adopt him, but I did. He is a precious dog. May I link this Hub to mine on my Maltese named Mister? I voted this Hub UP, and of course will share here and on FB. Yes, I would say that is a good sign that your Roscoe likes your son-in-law even though he is not that fond of men in general. Your son-in-law must be a kind hearted soul and a "keeper!" Nice that you get your pets from animal shelters. There are so many good pets there who are just waiting for good homes. Appreciate your comment. Skippy is adorable. I am so happy to read that your mom rescued him from such horrible abuse. No animal deserves such hate. All my dogs are from the humane society. Roscoe(my profile) doesn't like males. However, he took right away to my son-in-law, so that must be saying something fantastic for him. Yes...it was wonderful that Skippy found a home with my mother. He is now ours since my mother passed on to the next life, but fortunately we had all lived together the last few years of her life, so the adjustment for Skippy was not too hard. Appreciate your comment and votes. What a beautiful little creature. 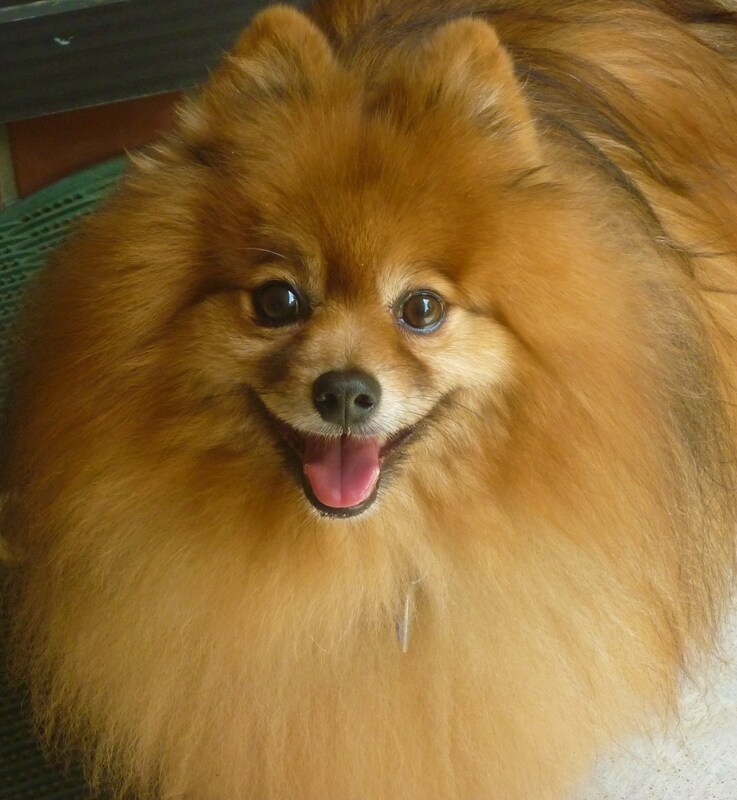 I'm so happy that your mom and the pom found each other. Voting this Up and Beautiful. Sorry to hear that you have also lost your mother. Yes, mine was wonderful and we are blessed by having her dog, Skippy. Will try and locate your hub about Jake now. Thanks for your comment. Skippy has become a very happy part of our lives. Glad that you enjoyed this true story. Thanks for your comment. She's so cute. Love it. Very inspiring and touching hub.Thanks for sharing Peggy! From your comments, you are obviously another kind hearted soul who loves pets. 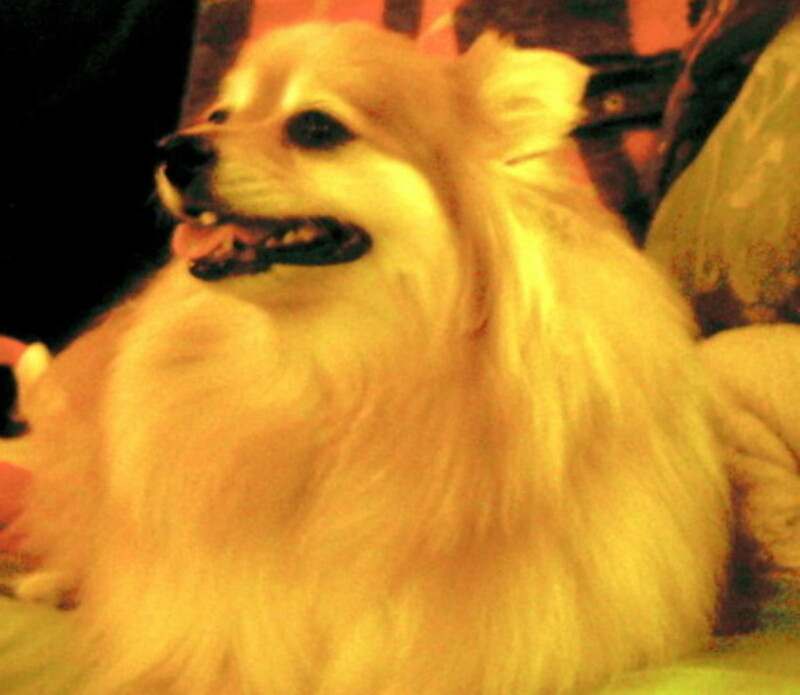 Thanks for leaving your comment on this hub about the Pomeranian dog named Skippy. He is still with us brightening each and every day. What a moving story! How can people be so cruel?! I can relate to your mom and your efforts to help these poor pets who are abandoned and abused when all they give back to us is unconditional love and affection. Skippy continues to adjust to life without his "mother" as I am also learning to do. He is such a little joyful character with us. Just not too crazy about strangers and he probably never will warm up to people easily but that is OK. He has a safe and secure home with us. Thanks for your comment. Oh, I think I just fell in love with Skippy! What a precious little guy you have. He had such a sad beginning but look how lucky he has been since then. It must be heartbreaking when she is looking for your mom (and her mom)at the park. I wish there was a way we can communicate these things to animals. I'm an animal lover myself. Thank you so much for sharing your story. You may have fat sparrows and Micky has his cardinals and other birds as well as his squirrels. Probably all well fed! Haha! I don't know how people can abuse animals...but from what I have learned those same people are the ones that are most likely to abuse people as well. Sad! My mother lavished much loving and caring to Skippy and now we continue that tradition. Skippy will probably never be able to understand why his "mother" walked out of the house one day on her way to the hospital and never came back. Poor little guy! Poor us, too. Thanks for your welcomed comments. What a beautiful hub, how on earth anyone can hurt a dog or any other animal I'll never know. This is a beautiful hub and full of beautiful pictures. I am bookmarking this one into one of my favourites. At the moment I do not have a dog or a cat or any pet for that matter so like Micky I lavish all my attention on my liitle birds that call round expecting food every day. Actually I was thinking last week that there were many fat sparrows around. Mmm perhaps I am being a bit too caring. ha ha!! 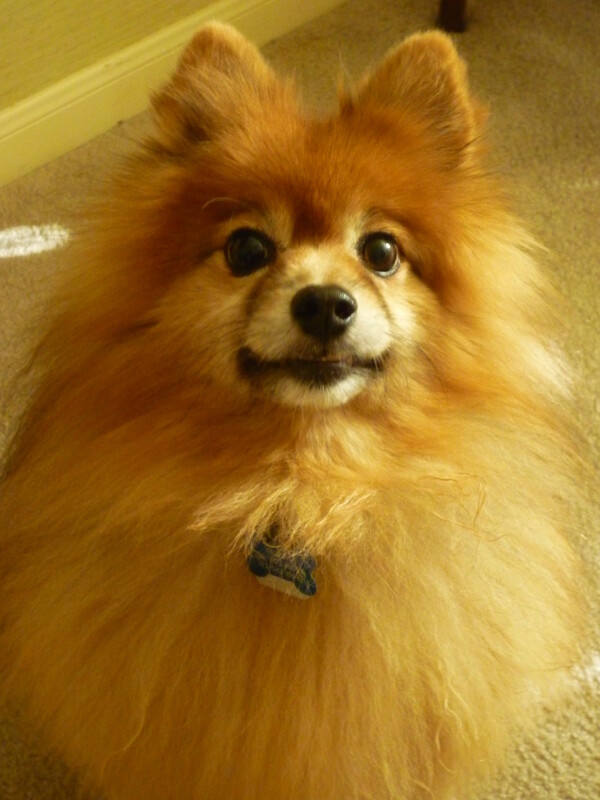 Skippy is a cutie...but did I mention that Pomeranian dogs are known for their barking? Everything that moves outside the windows gets a vocal announcement from him! I also think that he thinks he is a hearing aid dog. If the telephone rings or we call one another from one room to the next, Skippy is right there to announce that fact. Sure you want him sitting by your side? Haha! Other than the barking which I guess is a common trait...he really is a sweetie. As to your squirrels and birds...am sure that you rate 5 stars in that effort. Bless you! Peggy! You've run around all my bases! This is a cute dog! My goodness! I wish it were sitting here with me. Oops! That reminds me- I forgot to feed the birds and squirrels today! How will they make it without me!? God bless Dear Peggy! 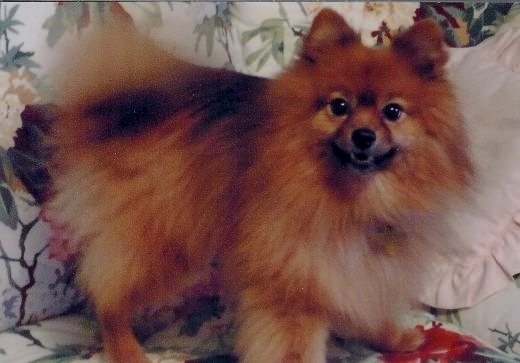 My mother's Pomeranian Dog Skippy is enriching our lives on a daily basis as it did hers when she was alive. Glad that you enjoyed it even if it did make you teary eyed. You must know that I will be reading more of your dogology series! Thanks! Your story got me all teary eyed. I am glad your Mom got to have pleasure from Skippy and I am happy that Skippy got wonderful people like you to love him. Also am glad to know you like my dogology series. Keep checking back at my hubs, there will be more of them. All the best to your family and to Skippy too. Glad that you enjoyed this story about my mother and Skippy. He makes us smile every day with all of his cute antics. Thanks for the comment and votes. A famous artist from my home town owned a Pomeranian - she had the very same hair color! True story! Loved that dog and I am not normally drawn to small dogs - love hunting dogs. Great photos! Voted it up and useful too! Thanks for sharing and caring. 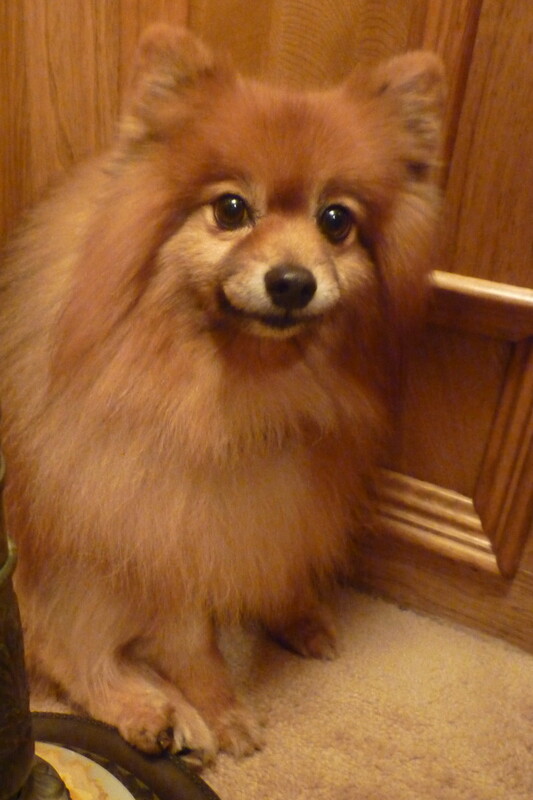 Were your Pomeranians barkers? Skippy surely is that! He thinks it is his job to bark at anything moving on the street...walkers, cars, squirrels...just about anything! No one will ever sneak up on this house! Haha! Except for that...he is a real sweetie. 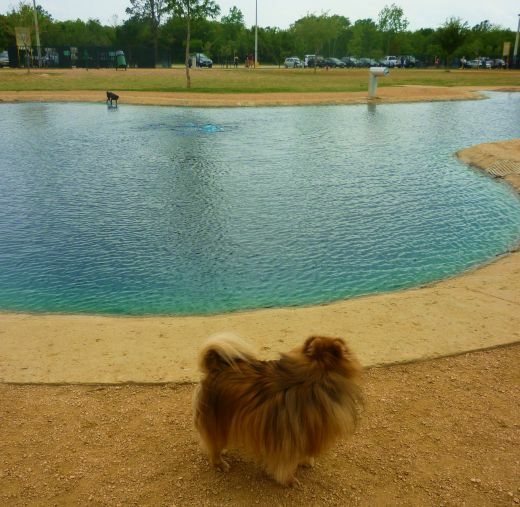 Peggy enjoyed the hub - we had two Pomeranians - just one now. The certainly are characters. Ours had totally different personalities. Skippy reminded me of the Australian series 'Skippy the Bush Kangaroo"
I agree with you totally in that there should be harsh punishments for people who abuse animals. My mother has now passed on to the next life and Skippy has pretty well adjusted to being without her...although she doted upon him. The last several times we took him to the dog park where animals can run free and interact with other animals...he ran over to the covered shelter where she used to sit. I think he was still looking for her. It has only been a little over 4 months since my mother died. I really think that he adjusted a little faster since we had lived together for about 3 1/2 years before she died. Poor little guy...just another adjustment for him...and for us, of course. Peggy W. Hi. What an absolutely wonderful account of your family's love of Animals. The photo of Elliot is beautiful, he must have been a dear little guy. 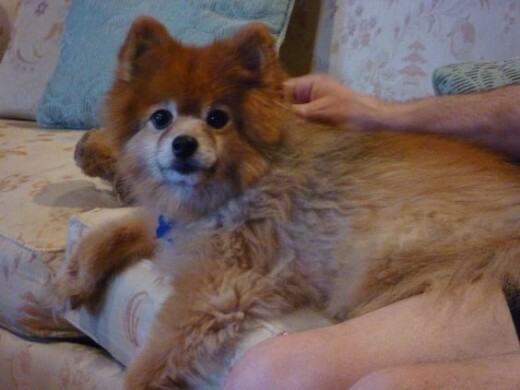 Skippy is also very cute, and just what your Mother needed to help get over loosing Elliott. Any one that abuses Animals in any way, shape or form, in my personal opinion, should be dealt with in the harshest way possible, and never allowed to own an Animal of any description ever. We do have a lot of Animal Shelters in Australia, that take in lost, abused and misplaced Animals, which is wonderful, but could be better. Thanks frogyfish, Look forward to having you as a fan! Oh, sweet puppies, you've won my heart! Just joined your fan club too! Hi agvulpes, Lucky would have been a good name for him but he already had the name Skippy and was responding to it, so my mother kept that name for him. Thanks for stopping in and commenting. Wow Skippy sure is cute. It never fails to shock me how people can be so cruel to their "Pets" . He should have been given the name Lucky ? Hi shibashake, We are of the same mind, obviously. Regarding prisoners working with animals, I had also heard about it being good for both the animals and the inmates. Another area where animals make a big impact are nursing homes. A few actually have resident animals, but many allow visiting animals which bring joy and happiness to the residents......even if for a few moments of time. Thanks for commenting and sharing your thoughts on the subject. What a lovely story. I used to watch many of the "Animal Cops" shows on t.v., and it is extremely heartbreaking to see animals being abused and neglected. I have no idea why people get animals, and then abuse or neglect them. If you don't have the time or patience for an animal, then simply don't get one. I think that there needs to be a lot more control at the breeder and point of sale level. With regards to having animals in people shelters, I think that is a very good idea. Animals can be a great source of comfort for people, especially during times of stress. This reminds me of the programs they have in prisons where chosen inmates get to train service dogs. Having the dogs there improves quality of life, helps bring hope back to the people, and also reduces the number of violent incidents. So Savannah is your newest family member. Congratulations and have fun. Maybe your mother-in-law needs a puppy of her own? Then when you visit, they could play together and everyone would still have a warm and loving puppy to love when you part company. This reminds me of my Mother in law. My Wife and I currently have a family of three also (My Wife, our puppy, and myself) and her mother loves it when we bring Savannah (our puppy) over. It's hard to leave at night... at least with the puppy that is! The person who actually removed Skippy from his original home saved his life. Hopefully the woman in that marriage fared as well. Yes, Skippy is cute, and his personality has bloomed in his new environment. Thanks for your comment. Good to know C.C. We've always said that if we were to come back, we would like to come back as one of our pets. So the adoption line starts right there. You can be next in line. Ha! From one button pusher to another........cheers and thumbs up to you always! 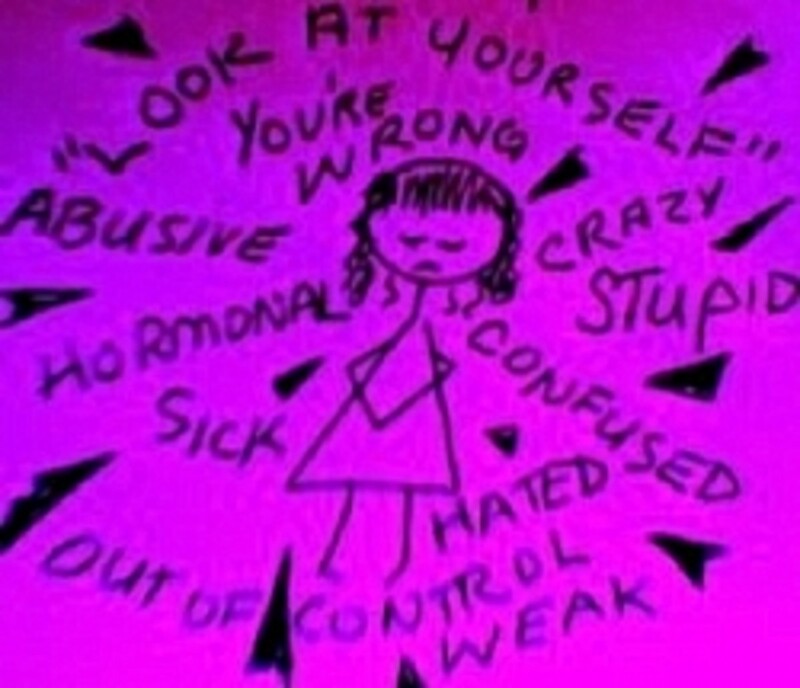 Have enjoyed the changes in your avatar. Is this now the real you now that you are becoming a famous author? 10 years ago from Midwest, U.S.A.
Well, could Skippy be any cuter?? Thank heavens for the bravery of a dog-napper. Sometimes it must be done to save a life. Enjoyed this uplifting story! Will you adopt me? haha I'm still here and will follow you along faithfully. I may not always leave a comment, but I will always push your button. thumbs up. I take it you mean that you have adopted them from animal shelters. Yes, it is a very good thing. If more people would follow that example (and also spay and neuter their pets) far fewer would be homeless or have to be euthanized. Many people do not realize that almost every breed can be found in a shelter. There are also groups of people who foster certain breeds until a permanent home can be found. Thanks for you comments. And hugs back to you dear soul. Hello Feline Prophet, Yes, they were both lucky to have ended up with my mother as "their mom." Her pets as well as ours are always well cared for and loved. Thanks for the comment. Thanks Teresa. I agree with you that any kind of animal abuse is heartbreaking and the scars are deep. Skippy is ever so gradually getting a little better around other people. He warms up to women faster than men.....but it takes him a really long time. We have had some overnight guests and the fright in his eyes as he skirts through a room with "strangers" is sad to see. People shelters being opened to the entire family (including pets) is a really important topic as the Today Show mentioned. Much more needs to be done about this! Hopefully society will open up to the idea that pets are essential parts of many family units and should be treated as such. Whereas the guy who kicked the dog should be left somewhere (preferably the middle of nowhere) to fend for himself. Also, the link between animal and human abuse is too telling an indicator to be ignored. I almost couldn't finish reading your hub (I can't handle cruelty to animals, because I know cruelty to humans will not be far behind); I'm glad I did -- great information, and the idea that someone will stay in an abusive relationship to protect the family pets who would not be let into a shelter is something I've just never thought about before. Thanks for this great hub. Hi goldentoad, Somehow I don't see you being the hard disciplinarian type of person. I think that you are a big hearted person who dearly loves his family and the pets that also make up your family. My husband is the same kind of softy when it comes to animals! And he did not even grow up with animals in the house. He has made up for it since marrying me. Ha! Nice one Peggy W, I try to be the mean and disciplinarian type with my dogs, but damn it, I can't. I hate to see any animal go hungry or be abused, if I didn't have a full house already, I'd probably let the wife get some more terd droppers. As are all of ours, C.C. VERY SPOILED. Why not? Thanks for your comment. A very good hub and I'm so tickled for your mom to have found a pup to love and nuture. Kudos to you too dear. i do love my wicked lil critters. spoilt all.